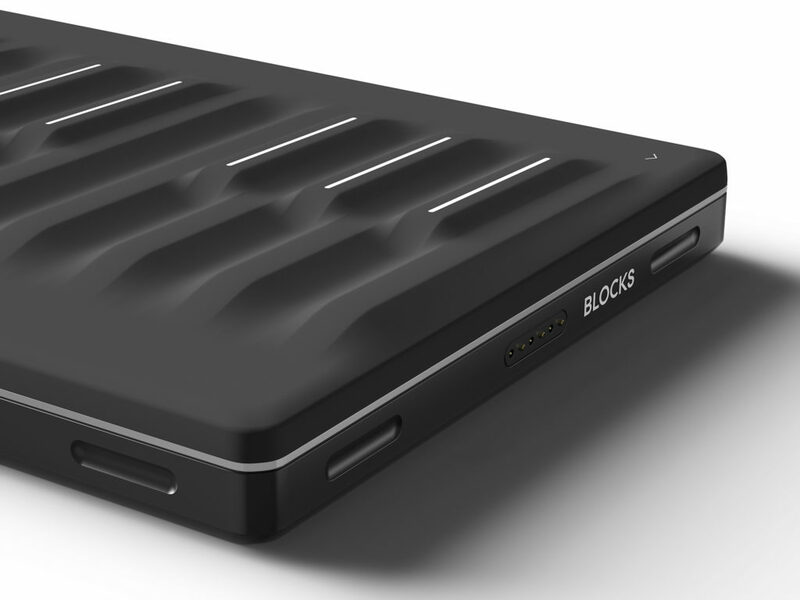 ROLI are filling out their mobile line of controllers, Blocks, with a two-octave keyboard – and that could change a lot. In addition to the wireless Bluetooth, battery-powered light-up X/Y pad and touch shortcuts, now you get something that looks like an instrument. The Seaboard Block is an ultra-mobile, expressive keyboard for your iOS gadget or computer, and it’s available for $299, including in Apple Stores. 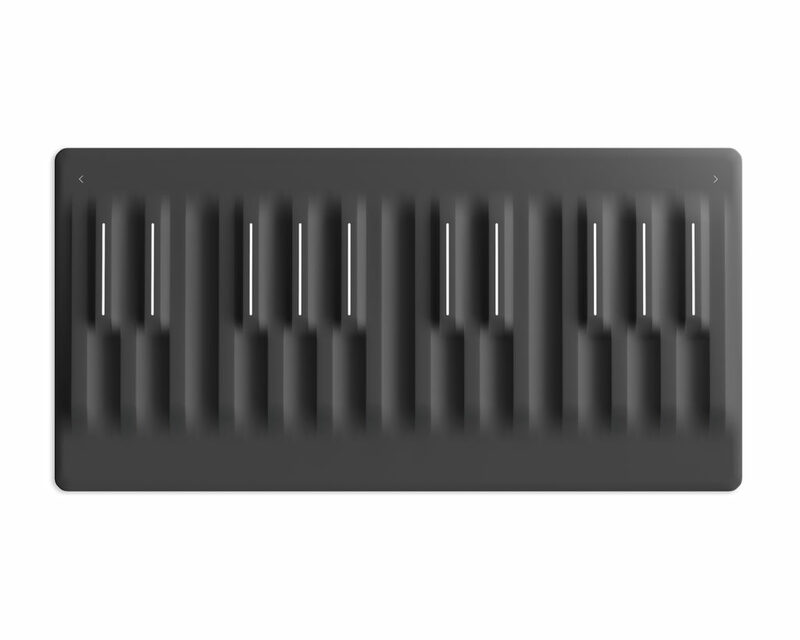 If you wanted a new-fangled “expressive” keyboard – a controller on which you can move your fingers into and around the keys for extra expression – ROLI already had one strong candidate. The Seaboard RISE is a beautiful, futuristic, slim device with a familiar key layout and a price of US$799. It’ll feel a bit weird playing a piano sound on it if you’re a keyboardist, since the soft, spongy keys will be new to you. But you’ll know where the notes are, and it’ll be responsive. Then, switch to any more unusual sound – synths, physical modeled instruments, and the like – and it becomes simply magical. Finally, you have a new physical interface for your new, unheard sounds. For me, the RISE was already a sweet spot. But I’ll be honest, I can still imagine holding back because of the price. And it doesn’t fit in my backpack, or my easyJet-friendly rollaway. We’ll get one in to test when they ship later this month. But ROLI also promise a touch and feel similar to the RISE (if not quite as deep, since the Block is slimmer). I found the previous Blocks to be responsive, but not as expressive as the RISE – so that’s good news. 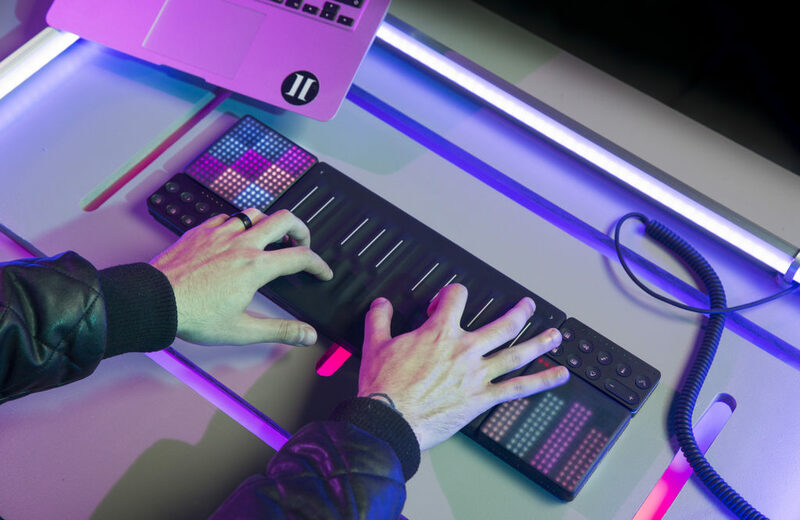 What you get is a two-octave keyboard in a small-but-playable minikey form factor, USB-C for charging and MIDI out, and connectors for snap-and-play use with other Blocks. Add an iPhone or iPad running iOS 9 or later, and you instantly can turn this into an instrument – no wires required. The free Noise app gives you tons of sounds to start with. That means this is probably the smallest, most satisfying jam-on-the-go instrument I can imagine – something you could fit into a purse, let alone a backpack, and use in a hotel room or on a bus without so much as a wire or power connection. (With ten hours battery life, I’m fairly certain the Seaboard Block will run out of battery later than my iPhone does). Regular CDM readers probably will want it to do more than that for three hundred bucks. So, you do get compatibility with various other tools. Ableton Live, FXpansion Strobe2, Native Instruments Kontakt and Massive, Bitwig Studio, Apple Logic Pro (including the amazing Sculpture), Garageband, SampleModeling SWAM, and the crazy-rich Spectrasonics Omnisphere all work out of the box. The SDK actually to me makes this worth the investment – and worth the wait to see what people come up with. I’ll have a full story on the SDK soon, as I think this summer is the perfect time for it. The Touch block, which previously seemed a bit superfluous, also now looks useful, as it gives you additional hands-on control of how the keyboard responds. That X/Y pad makes a nice combo, too. But my guess is, for most of us, you may drop those and just use the keyboard – and of course modularity allows you to do that. Anyway, this is all big news – and coming on the heels of news of Ableton’s acquisition of Max/MSP, this week may prove a historical one. What was once the fringe experimentation of the academic community is making a real concerted entry into the musical mainstream. Now the only remaining question, and it’s a major one, is whether the weirdo stuff catches on. Well, you have a hand in that, too – weirdos, assemble!